The sweet, buttery, crunchy caramel corn you love can be done in the microwave to make it faster and easier. Perfect for any party! There is just something about the buttery crunch of homemade caramel corn that makes you keep going back for more. There is no stopping it and it's ok, because you won't really want to start. The secret to getting that crunch is cooking the popcorn after coating it in caramel. A lot of people do that in the oven, and it works great. But Matt's grandma has a secret that makes it so much quicker and even easier! When I asked Matt if his grandma had any recipes he really loved, this was the first thing he mentioned. He remembers them making it together when he was a kid. They liked it so much, that he and Jess asked her to make it a couple of years back. We all went to Grandma's house and make the caramel corn. We couldn't wait for it to cool. We ate it while it was still hot and sticky! So, next time you are at the grocery store, ask for a paper bag. You'll thank yourself! My husband's grandma also gave us her popular chicken broccoli casserole and her husband gave us Grandpa Joe's pumpkin apple muffins. They are all winners! 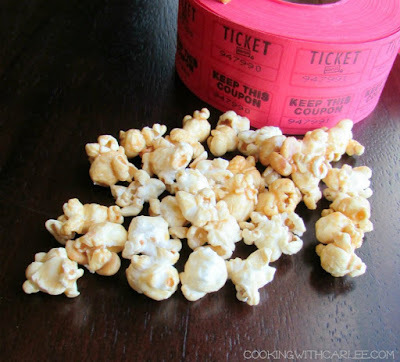 Have you ever made homemade caramel corn? Place corn in a paper grocery bag. Add nuts if using. Pour caramel mixture over popcorn. Roll down the top of the bag and shake. Shake and place back in microwave. Heat for 1 minute 15 seconds. Shake again and then pour onto a rimmed baking sheet to cool. Definitely going to try this :) Stopping by from Tumbleweed Contessa's Superbowl Party! I like caramel corn. Thanks for stopping by Tumbleweed Contessa. Have a great Super Bowl party. Thank you! It is a really good recipe and super easy. 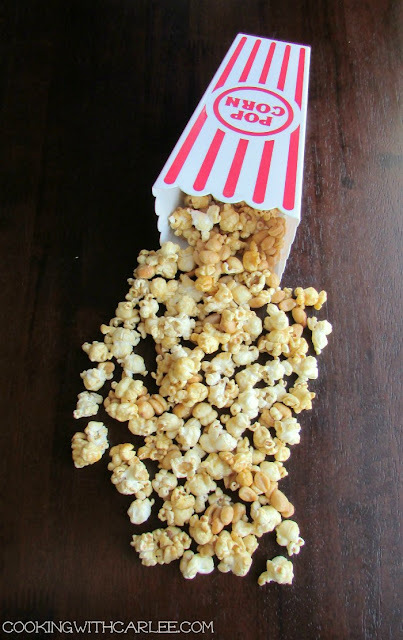 OMG this caramel corn looks awesome and not too difficult to make. Your recipe has the most clicks, over at Simple Supper Tuesday. We hope you can join us again this week, starting Monday night at 8pm EST. That is awesome, thanks! It is so much easier doing it in the microwave than the oven. 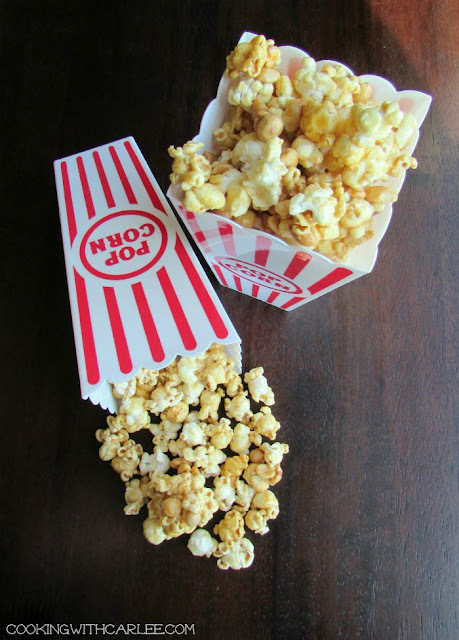 Your delicious popcorn received the Most Clicks at our Simple Supper Tuesday Linky Party at Moore or Less Cooking!! It really is a good recipe. So much easier than baking it off! Genius! Thanks your Grandma from all of us!! Isn't it a perfect way to finish the caramel corn? Anything that makes it edible faster is a win in my book! The best popcorn! Thank you for sharing! It really is!! Thanks, Lee! YUM! This sounds so tasty! What a neat snack! Now this sounds so delish! And I love that it's simpler and quicker than usual, and I hate cleaning the caramelized bits off the cookie sheet. This is perfect. Making for our next family movie night! It is so easy and so much quicker! I hope you all love it! We used to always make popcorn in a paperbag in the microwave, back in the day when my folks got their first Amana Radar Range, lol!! But this deliciousness? Wow!! Can't wait to try it!! How fun! I was shocked when I saw Matt's grandma make it this way for the first time. Now it's the only way I make caramel corn! Ok, I think I can actually manage this one! Can't wait to make this! thanks for sharing it!